Aanand L Rai directed film ‘Zero’ starring Shah Rukh Khan built the largest set in Film city ever as they recreated the Ghantaghar or clocktower which is an iconic landmark of Meerut. As Zero is based in the city of Meerut, the makers recreated the monument to the scale, making it the biggest set ever built in film city. The original structure is located in Meerut, the centre of Uttar Pradesh and was built in 1914 by the British. Replicating the magnificent commemorate which was built by skilled labourers with specialized techniques back in the 19th century was a very challenging and a gruelling task for the director. The set has been so well duplicated that the difference between real and the set is almost impossible to be told. From the local stalls to the massive buildings, the makers recreated everything to make it look authentic. The trailer gave us glimpses of the recreated town, leaving no room for doubts to the original Meerut. Zero showcases Shah Rukh Khan as the vertically challenged Bauua, Anushka Sharma as Aafia, a girl who is a scientist living with cerebral palsy and Katrina Kaif as a Bollywood Superstar named Babita Kumari. 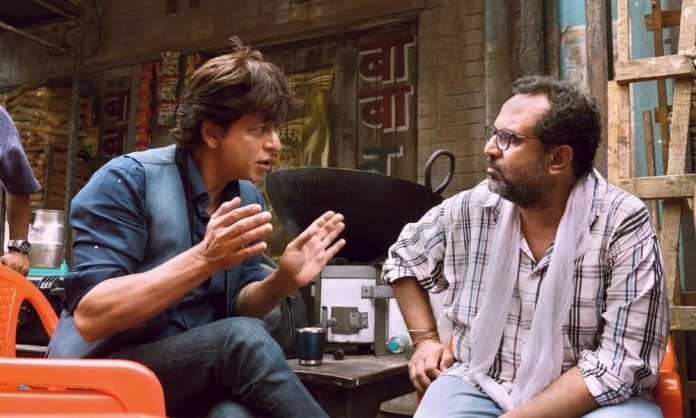 The trailer of the film has piqued the interest of the audience making the Zero one of the most anticipated movies of the year.